Whether you want to learn how to earn miles and points, how to use them for travel, or the details of how to make every aspect of your trips more accessible, we have you covered. However, one thing we haven’t talked about much is Family Travel. Starting today, Upgraded Points will be building a whole new section of the site, and it will be all about Family Travel. From vacations with infants, toddlers, or teens, to multi-generational trips, when it’s time to get away with your family, we will help you travel with ease. It won’t happen all at once, because there is so much content we need to add, but as time goes on, you’ll see our Family Travel section grow. 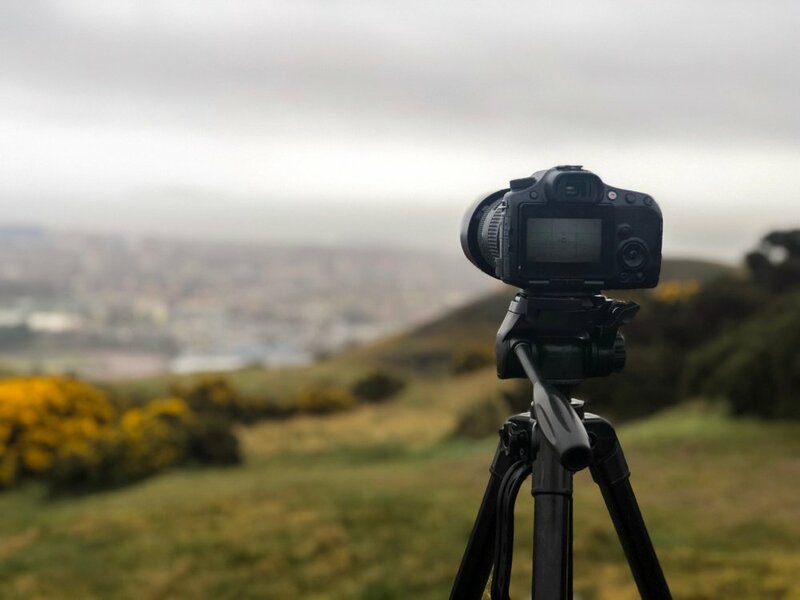 Let’s take a look at what types of Family Travel posts you can expect to see as this new section of the site takes shape. We already have booking guides for many airlines using miles from their loyalty programs and those of partner airlines. What we don’t discuss much of is how the booking process can be different for families. From finding more premium seats to knowing what prices you need to pay for your kids, we will try our best to make your family vacation booking as easy as possible. Additionally, we will help you understand discounts for children on all types of transportation, booking lodging for families, and what to do if your family is too large for a traditional hotel room. Traveling with an infant is tough. Nobody is going to argue against that. If you happen to have twins, it gets even harder. Our goal with our Infant Travel Guides will be to give you the tips and tricks you need to make it as easy as possible. If you have an infant, you have plenty of things to worry about. Any time you can reduce the number of things you need to worry about, travel gets easier. Leave figuring out the travel booking details to us. 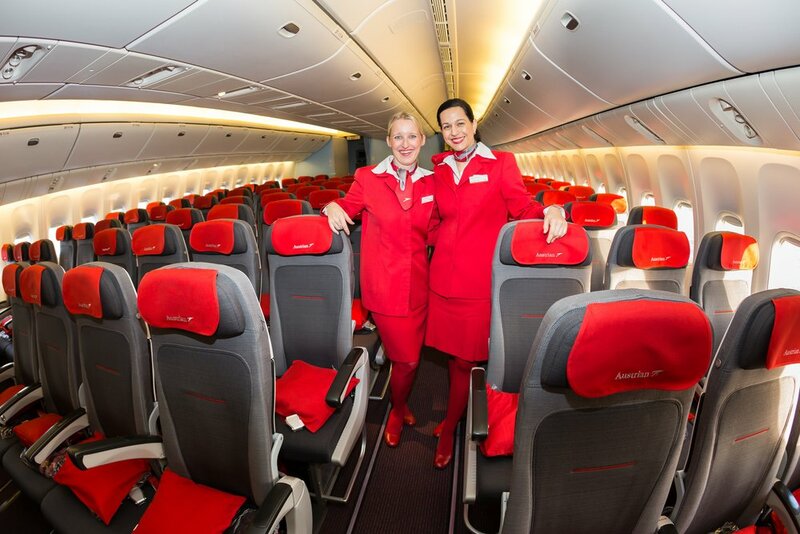 We will cover the best overall airlines for flying with babies, what you need to do to make everything go smoothly, and share policies for the airlines you should fly with and those you should avoid. Bottom Line: Having a baby doesn’t mean you have to stop traveling! A baby can eat, sleep, and cry anywhere in the world. Why not show them some amazing new places and stimulate that brand new little brain? Throughout the world, you will be amazed at the differences between discounts for child bookings. Some places will give discounts to kids up through college, some up to 16, some up to 12, and some make up their own rules. We’ve received discounts on everything from private tours to train and air travel, and we’d love to show you how to save some money on your next trip. We won’t be able to cover all of the discounts for every place on earth, but we will do our best to include the ones we think you will use most and the ones we think you would otherwise miss. Hotel procedures for children can vary widely depending on the hotel brand and region of the world. Add in smaller, local hotels, and you never know what you might find. In the U.S., you can almost always find a base-level hotel room that will fit your family of 4 or 5. In South America or Europe, that gets a lot more difficult. Hotel rooms around the world are often restricted to 3 people max, so you may need two rooms or a suite to fit your whole family. That gets a lot more expensive. We will outline not only which hotel brands are best for fitting your family in a standard room, but also which brands will give you free breakfast or other perks your family will love. Also, we will do detailed reviews of specific resorts around the world that are great to stay at with kids. These could be less expensive properties near the Disney Parks in Orlando or family-friendly resorts with beaches in the Caribbean. In each case, we will have tested out the specific resort in question and will let you know the positives and negatives of taking your kids there. There aren’t too many points hotels in the Sacred Valley of Peru, and there were precisely zero in Ollantaytambo. Luckily, there are plenty of alternate lodging options. We chose this 4-bed private room at the Mama Simona Hostel, and it ended up being the perfect place for our family to stay for a few nights. We mentioned above that it could be tough to find a hotel room that will fit your whole family outside of the U.S. Sometimes, it makes sense to book multiple rooms or a higher class (and more expensive) suite, but other times, it might make sense to look at some alternate lodging options other than standard hotels. Alternate lodging can range from camping in the mountains to luxury high-rise apartments in the heart of the city, and anything in between. 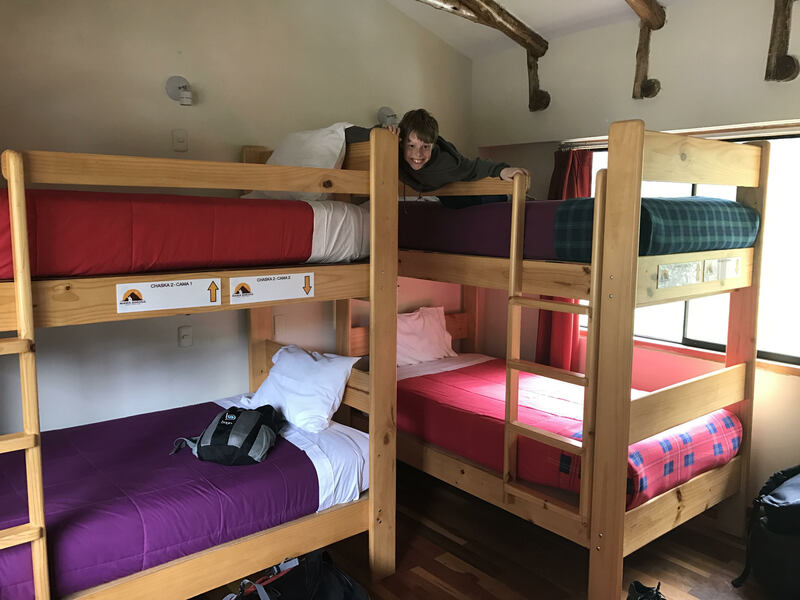 We will take you through the different ways to book these types of accommodations, from what sites to use to how to make sure you pick a safe and clean place to stay. For the main booking sites, we will include specific instructions for the booking process, and we may even throw in a few recommended places that we have stayed in the past. Hot Tip: Home rentals can often get you closer to the center of action than hotels can. You can get a more authentic experience because you can see how the people of the city live. You can buy groceries, cook some of your meals, and take public transportation just like a local family would. Sure, traveling with families is great, but where should you go? The world is full of exciting destinations. Even if you limit yourself to only domestic trips, there are still a ton of places you can travel with your family. How do you pick? The first thing to know is that some locations are more family-friendly than others. But with some planning, you can make almost any destination an excellent place for family travel, even those that are less family-friendly. Sufficiently confused? We thought so. But don’t worry. We will be adding all different types of destination guides to help you decide where to go. From locations with excellent family lodging to places with all the relaxation you need, we will present some of the very best family travel options. 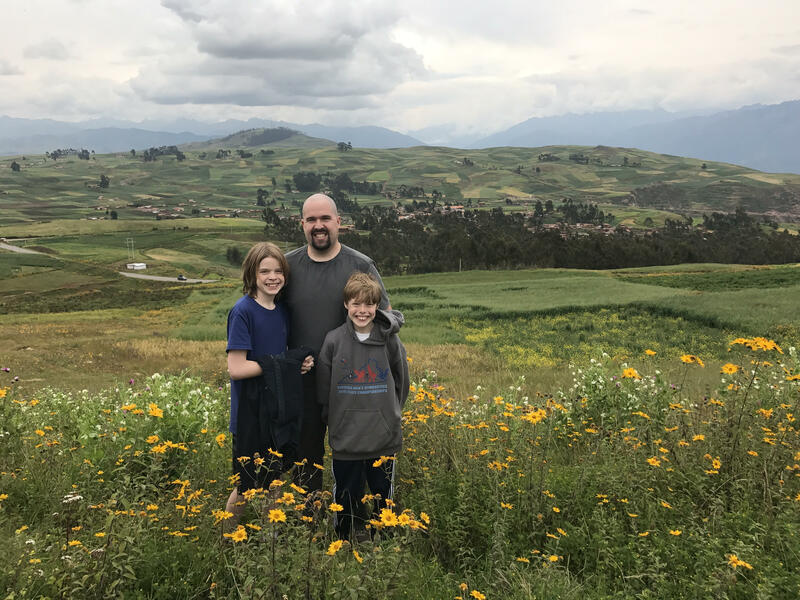 We will even throw in a few trip reports so you can see our first-hand experiences of what places are like for travel with kids both domestic and abroad. Tokyo is an excellent place for family travel. 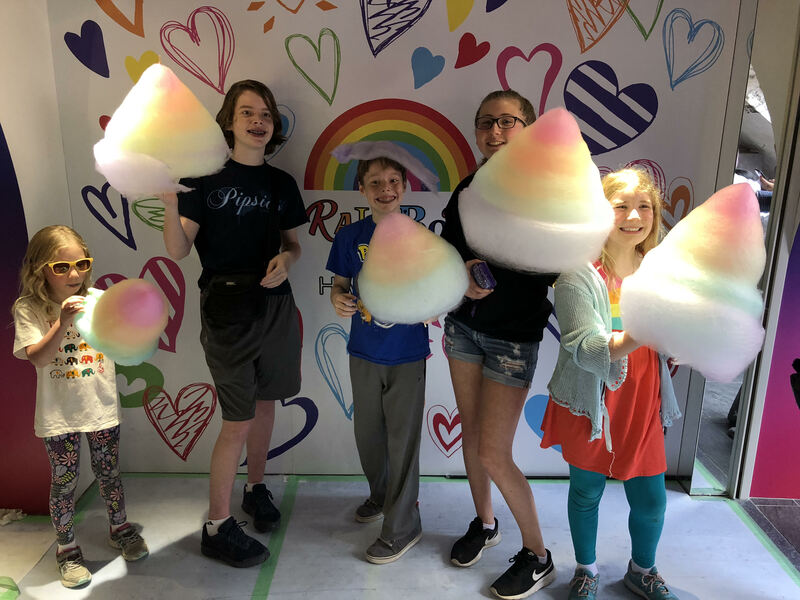 While you’re there, be sure to stop by the Totti Candy Factory in Harajuku for a rainbow cotton candy bigger than your head. We were there visiting friends, so we used these fantastic cotton candy mountains to make 2 happy families of kids! Although almost any location can be a great family vacation spot, there are some destinations that are perfect for kids. In Orlando, for example, you have both Disney and Universal parks, some of the most impressive mini-golf places we’ve ever seen, and there are tons of family-friendly restaurants. These examples are just the tip of the iceberg when it comes to Orlando-area activities for families. Other places might not immediately jump out as a family destination. When you think of Tokyo, do you think of a great place to take kids? Well, you should. Tokyo has impressive parks all over the city with playgrounds and fitness equipment to burn off some energy. There are places like hedgehog and cat cafes, giant rainbow cotton candy bigger than your head, and yes, they do even have a couple of the best Disney parks in the world too. By showing you some of the less popular family-friendly destinations and providing details for the most popular ones as well, we will help you to plan the perfect getaway with your whole family. As great as it is to travel with your kids, it’s vital that parents find some time each year to get away on their own. Parent getaways mean that the kids stay with relatives for a week while you escape to the beach, or it could mean that they stay overnight with friends so you can spend a night out in a nearby city. Whatever works for your family is what you should do. Our kids are a bit older now, and both go to Boy Scout camp, so we have a week on our own every summer. Take a look at your family schedules and see what time you can carve out for yourselves. In this section, we will outline a few spots that are great for when you want to get away without the kids. 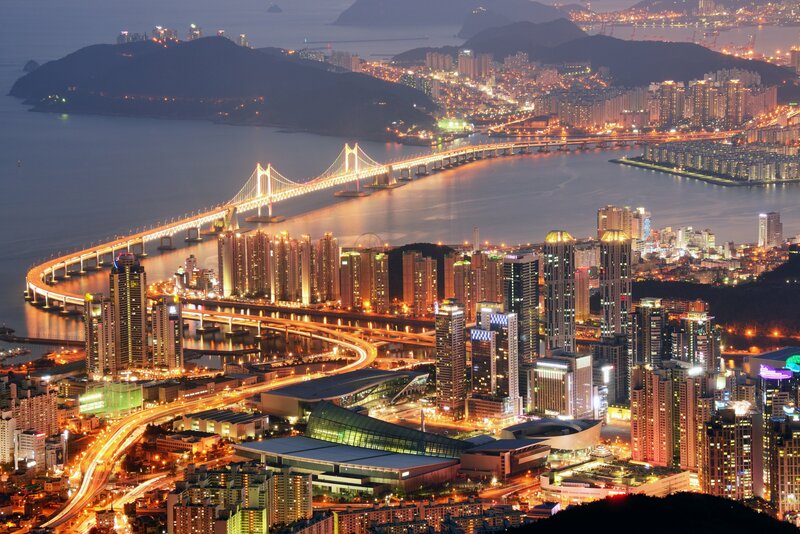 These may include adults-only resorts, cities with great nightlife, or places with restaurants that your kids would hate, but you would love. Bottom Line: Getting away now and then without the kids helps you to appreciate travel with the whole family and at the same time, keeps you sane as parents. Don’t be afraid to leave the kids behind and experience a new place without them. If it’s that great, you can always take them back at a later time. Here is where you will see some of our first-hand experiences with family travel. From our flights and lodging to the activities we do while we are on the ground, we will show you what works well for our family. Over the years, we have been to a lot of places that the kids have thought all of their friends would love. Trip Reports are our chance to show all of you what these places were so that you can enjoy them too. Our Trip Reports will not be all good news and happiness though, because we want to keep things real. Sometimes things don’t go as planned, and when that happens, we will be sure to share our experiences so that you can learn from our mistakes. This section will not cover general lodging like hotel brands or areas where you should stay in a particular city. Instead, these Lodging Guides will cover specific properties in specific destinations around the world. Is there a hotel that has a great pool and free breakfast with waffles that your kids will love? Is there a rental home that includes a car and is half the cost of any available hotels? Is there a place with a location that is perfectly in the middle of where you want to be to see the most of a destination? These are the types of things you will see in our destination-specific Lodging Guides. If you want to make sure you have a great place to stay with your kids, picking one of these will be a good bet. 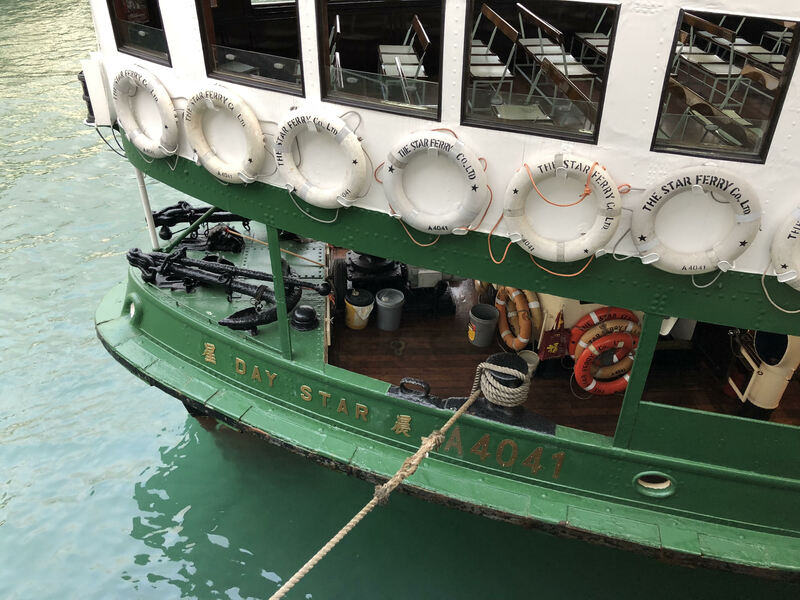 Day Star, one of the Star Ferry Company boats, took us from Hong Kong Island to Kowloon on our recent family trip. In major cities like Hong Kong, the public transit system is the cheapest and best way to get around the city. However, with boats, buses, subways, and trams, the system can be quite a lot to understand. Airlines can get you most of the way when you’re on vacation, but if you aren’t planning to rent a car, there’s a lot more you need to know about local transportation at your destination. From regularly scheduled long-distance buses and trains to local trams, subways, and city buses, we will help you plan for what you need to get around with your family efficiently. Where applicable, we will also discuss how to negotiate pricing for taxis, tuk-tuks, or ferry services. If rideshare services are available, we will talk about those and how the pricing compares to traditional transportation options. We’ll outline how they work and what you need to do to set them up. If you know your transportation options and how you plan to get around before you reach your destination, that’s one less thing you have to worry about when you arrive. You will already know the best way to get around and how to pay for it. So you’ve arrived at your destination, you have a place to stay, and you know how you’re going to get around. Now what? You need to decide what types of activities you want to do while you’re there to make your family vacation complete. Maybe your kids love history, and you want to visit museums and see ancient sites up close. Perhaps the best place for your family is floating in the ocean with a snorkel and mask, looking at the amazing animals beneath you. Whatever you like to do, it’s best to know what is available at a destination when you’re planning your trip. With our Activity Guides, we will give you an idea of what to expect at each destination, so you know what you and your family will be able to do once you arrive. Are your kids a little older? Does your family love adventure travel? If you answered yes to those two questions, you’ll want to pay attention to this type of post. These Adventure Guides will give you ideas of the specific activities at a destination that will test your physical abilities, leave your heart pounding, or maybe even both. From basic adventure activities like high altitude hiking, zip-lining, and whitewater rafting to high adventure activities like scuba diving, skydiving, and canyoneering, we will let you know what is available and what you can expect from each activity. If you need a high-energy vacation, we will get you all the details on the best locations to travel to make your whole family happy. Sometimes, all you need in life is a hammock on the beach. 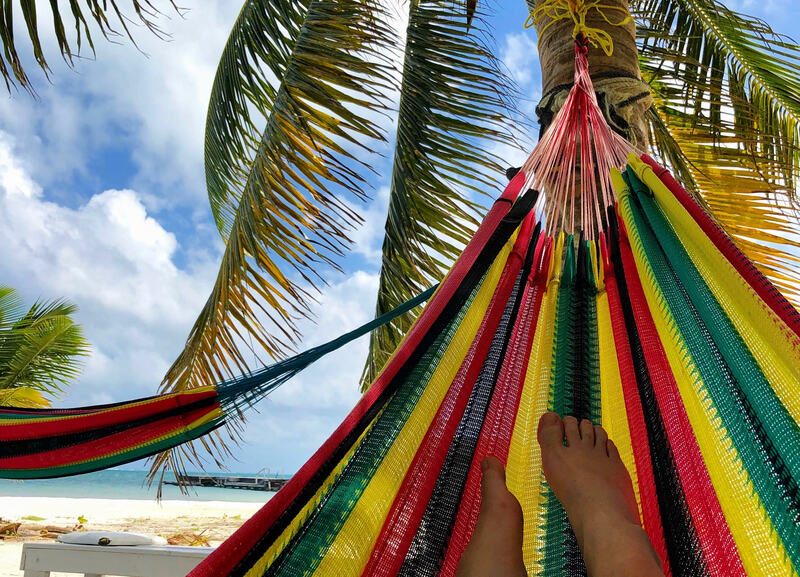 These hammocks in front of our hotel on Caye Caulker, Belize were the perfect place for us to relax in the shade of the palm trees. We did a few activities like snorkeling and hiking during our stay there, but we still found time every day to relax on the beach and let our worries float away with the tides. If your life is filled with pressures from work and your evenings and weekends are spent helping with homework and running your kids around to all sorts of activities, a relaxing vacation with some good books might be just what your family needs. Relaxation can take on many forms, but usually involves doing things very differently from your day-to-day life. It could be laying on a beach for hours each day, swimming and boating in a mountain lake, or getting pampered at an all-inclusive resort. Once you figure out what your family needs to relax, take a look at some of our Relaxation Guides and pick a place that has what you need to kick back. We will try to go over some of the best locations for each type of relaxation with your family. That way, everyone can come back from vacation refreshed and ready to go. One of the most important aspects of travel is exposing your kids to both the differences and similarities between people all over the world. Planning worldwide education can be best accomplished with a little bit of knowledge about your destination. Whether by reading books beforehand or by visiting museums and other sites while traveling, it is easy to make education fun not only for your kids but for you too. Our Educational Guides will help you see how to take a great vacation and make it even better through the use of professional guides, historical sites, and interaction with locals. We promise we won’t turn your vacation into another week of school. You’ll enjoy these Educational Activities and your kids will, too. The final part of our new Family Travel section is also one of the most helpful parts. Our Product Guides will detail specific products and technologies that make family travel more comfortable. Depending on the specific product, you might need it before, during, or after your trip. Some of the items we will talk about are great for the home time in between trips, keeping kids excited about travel and the world around them. We will be doing guides for all members of a family, including parents, infants, toddlers, teens, and even extended family members. Not all of these will apply to your situation, but be patient. If something is for toddlers and you only have teens, the next guide might be something you can use. The amount of information you can get from a connection to the internet when you travel is almost unlimited. There are apps for everything from bus schedules to fun travel games. If you have data service on your phone, you’re all set. Even if you don’t, you probably have Wi-Fi where you’re staying, and at restaurants and shops all over your destination. In this section, we will highlight an app or website at a time and show you how to set it up, how to use it, and most importantly, how it will help make family travel more comfortable for you. If your kids have their own phones, certain travel apps can help you pass some of the responsibility on to them and teach them how to buy public transportation tickets, find a great place to eat, or even find a nearby park with a bench in the shade. Bottom Line: Today’s technology has made travel so much easier than it was in the past. If you aren’t taking advantage of the apps, websites, and electronic tech that is available to you, your family is missing out. The biggest reason people don’t travel with infants is it’s hard. You need to take a lot more with you to properly care for an infant. Strollers, car seats, carriers, bottles, diapers, and toys are just a few of the items that you can’t live without. Our Infant Travel Product reviews will highlight some items that can make traveling with an infant easier. We will take a look at lightweight strollers and car seats, carry-on bags that can double as a diaper bag, and toys that can amuse babies for hours. Of course, every one of these items might not be perfect for you and your baby, but if we can let you know about even one or two things that make travel more manageable, you will be more likely to show your kids the world starting at an early age. Some planes have great on-demand personal entertainment screens. They have child-appropriate movies, games you can play by yourself or with people in other seats, and vast selections of music that your kids can listen to as they fall asleep. If your flight is on one of those planes, great! If not, be prepared so that your kids don’t get too cranky when you fly. In this section, we will go over different options for personal entertainment you can bring with you. We will talk about several different electronic devices, and how to let your kids choose what to bring so you’ll know they’ll like it. In addition to flights, entertainment is essential on long car rides, buses, trains, or long waits to get into places. Keeping your kids entertained can make a huge difference in your vacation experience. Hot Tip: Keeping kids entertained on a plane can be the difference between a great flight and a miserable one, not for only the kids, but for you and everyone around you. Make sure you know what entertainment options will be available on your flights and plan accordingly so your kids will be occupied and entertained for the whole trip. Almost all children love to play, and that doesn’t change when you take them on vacation. Unless you’ are in a rental or at a hotel that specifically caters to kids, you probably won’t have any toys at your destination, so you’ll need to bring them. With our Travel Toys reviews, we will concentrate on products that are easy to travel with and are great for playing while in transit or at your destination. These may include travel-sized board games, small kites, or any number of toys that will let your kids play wherever they are. To keep track of our travels, we have this poster-sized map on our living room wall. 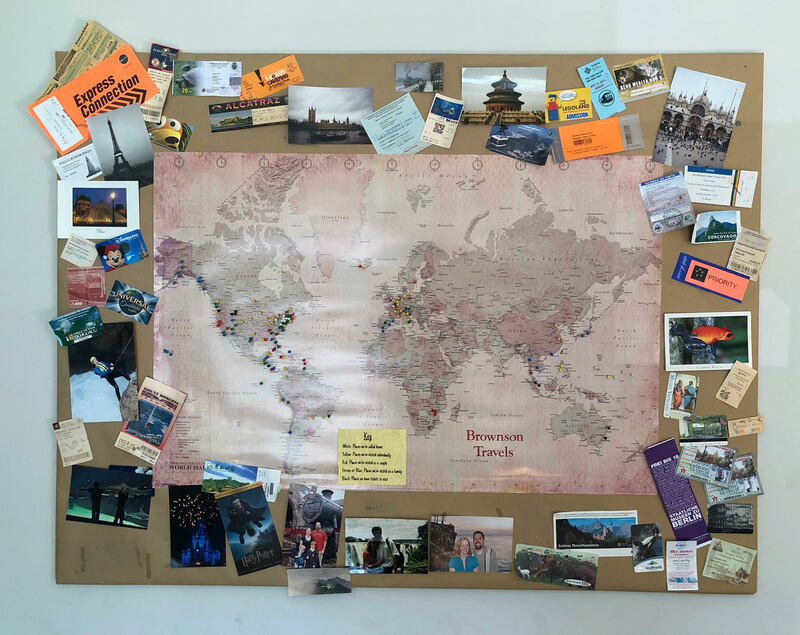 The map is mounted on foam board covered with craft paper so we can push pins in to mark where we have been and where we are going. It helps to remind us not only of how many awesome places we’ve been but also how much of the world we have left to see. A great way to keep kids interested in travel is to have a few items at home that are travel related and always around. One example could be a map on your kid’s wall that lets them scratch off all of the states or countries they’ve visited. You could get one for each member of the family or have one for the family as a whole. Take turns when deciding who gets to scratch off the next country. For these products, we will seek out items we think your kids will enjoy and keep them excited for the next trip. We might even find a few items that will excite you as parents as well. A 2017 survey conducted by AAA showed that 35% of Americans planned to take at least 1 family vacation that year. That’s a little over 1/3 of America, and that’s a massive number of people. If we aren’t helping them with specific issues related to family travel, we’re letting our readers down. We don’t want to let our readers down. We want to be your go-to source for all of your travel needs. Furthermore, although that 35% was higher than past years, that number makes me a little sad. That means that almost two-thirds of Americans aren’t planning to travel with their families at all. There could be lots of reasons for this: Travel is too expensive. They don’t have time to travel. They aren’t comfortable in new places. They don’t know where to go with their kids. These are just a few of the reasons for not traveling that we can easily help with. We can show families how to travel for less with miles and points. We can show you how to take a quick weekend trip to a nearby location. We can tell you the best sights and spell out logistics for family travel around the world. By adding a concentration in family travel, not only can we help our current readers who travel with their families, but hopefully, we can help many other families travel as well. We are excited to launch this new section of the site, and we hope you will enjoy the new content we will be adding! Welcome to Family Travel at Upgraded Points! This is great. Thank you for focusing on family travels. You’re welcome! We hope to add quite a bit of content in this area over the next several months. Glad you will enjoy it.